This year's Le Guess Who? features a project which is like nothing we ever brought to you before. Choreographer Nicole Beutler directed '7: Triple Moon': an interdisciplinary project with a combination of dance/performance, a 3-dimensional art installation, and a magical ritual. It is the third performance in a trilogy about Bauhaus, wherein Beutler discusses three elementary shapes: the circle, the square and the triangle. 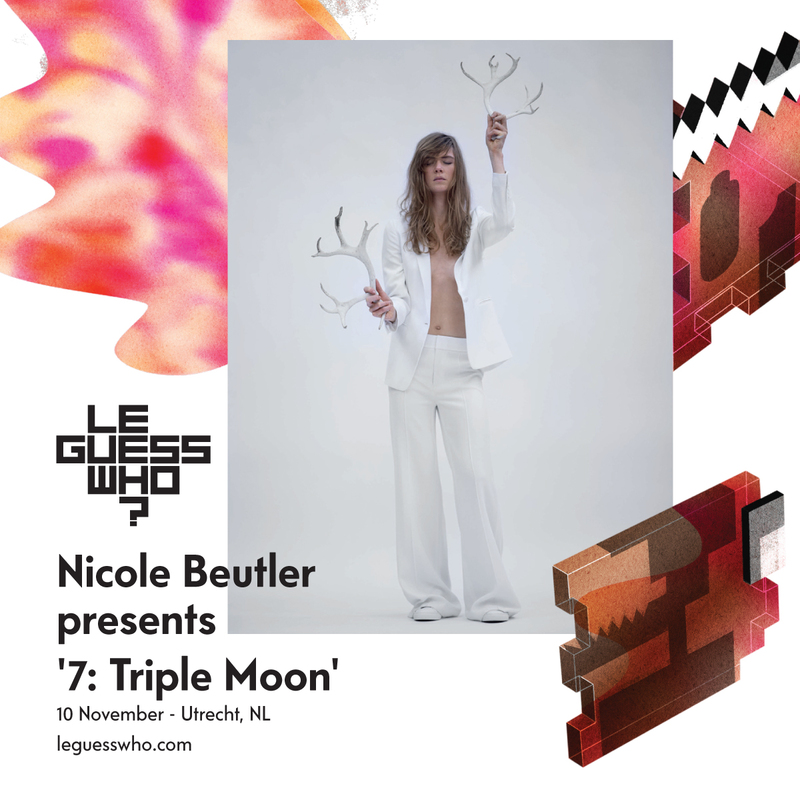 In '7: Triple Moon', she deepens the concept of the triangle: a representation for femininity and feminine power, which is the main subject of Beutler's performance. The triangle encompasses the trinity of a young girl, a mother and the old wise female. These three archetypes are played by three dancers, who are constantly transforming between young, old, animal-like beings or referring to a mythological figure. "An ode to women, her strength and her mystery in dance as well as beautiful stage settings. A mighty display of female power with impressive solos (…) Beutler is a driving force in dance with her intelligent concepts"
It's a spiritual and historic performance, as Nicole Beutler is highly inspired by Ancient Greek tragedies, but also on the spirituality of Greek myths. Ballet dancer Hlíf Svavarsdóttir takes on the role of the old, wise female, inspired by the Greek primal goddess Hekate. She is the Mothergodess, known for her three faces with which she sees past, present and future. There are many stories going surrounding the goddess Hekate in the Ancient Greek history. She is seen as the goddess of fertility but also of death. She is the nutritionist of nature but she also inspires the elder woman to spirituality and wisdom. This dialect between birth and death keeps returning in the performance. While '7: Triple Moon' is performed by 3 dancers, it is much more than only a choreography. We’re very happy to extend the festival’s scope with interdisciplinary piece of art. An integration of visual arts, dance, music, theater and philosophy, it also includes a musical soundtrack by composer Gary Shepherd, filled with suspense and mystery. Expect an overwhelming performance, 20:00 on Friday, 10 November at Stadsschouwburg Utrecht.